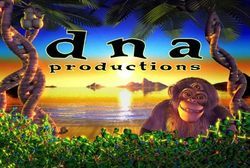 DNA Productions, Inc. was an animation studio in Dallas, Texas, founded by John A. Davis and Keith Alcorn in 1987. It was a full service animation company providing script to screen services for the commercial and corporate industry. Starting out as a small animation boutique, it eventually became one of the largest animation production houses in the USA. It became well known for productions like Jimmy Neutron, Santa vs. the Snowman 3D and The Ant Bully. The company was owned by Davis and Alcorn but in 2006 shortly after the production of The Ant Bully the company's animation department was closed. DNA Productions was a company founded from the bases of K&H Productions which was closed in 1987 the same year DNA was founded by Keith and John.